A unique business awards programme which rewards the potential of businesses across the Borough of Newcastle-under-Lyme is now open for entries. The Business Boost Awards is in its ninth year and has new sponsors and new awards for 2017. Cash prizes are on offer, along with subsidised apprenticeships and membership of Staffordshire Chambers of Commerce. All Business Boost entrants benefit from practical help, such as developing a business plan, from established company directors on the awards programme’s organising group. Scores of companies across Newcastle Borough have grown with the support of Business Boost. More Than Just Design, of Keele, was among the 2016 winners. Managing Director, Dave Purkiss, said: “As a business with ambitions to grow, we saw Business Boost as an ideal way to both take stock of what we had achieved and to look forward with a refreshed business plan. “Business Boost is about rewarding potential and this allows a growing marketing agency with big ideas to compete on a level playing field with businesses with 20, or so, employees. “It is a friendly, easy to enter competition and you are given plenty of encouragement by the organising committee which is primarily made up of business owners who have faced similar challenges to the companies taking part. 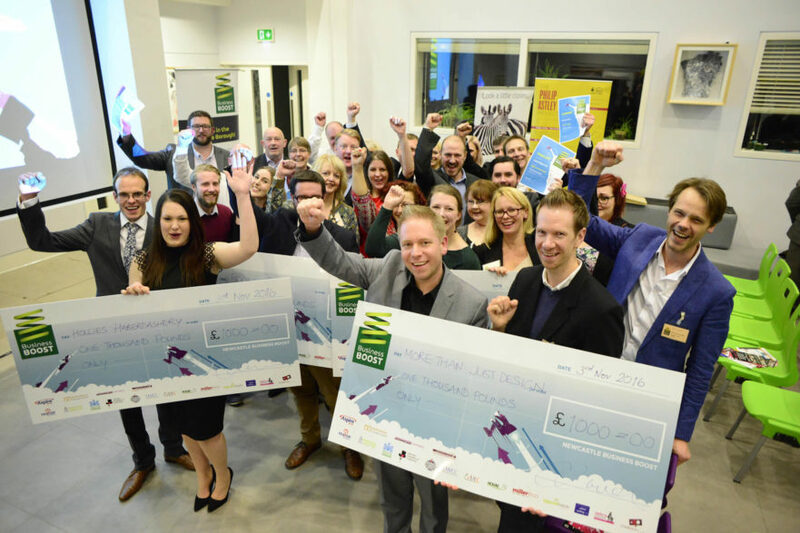 The competition was founded in 2008 and is supported by several local entrepreneurs, Staffordshire County Council, Keele University, Newcastle-under-Lyme Borough Council, Newcastle-under-Lyme BID (Business Improvement District) and the Realise Foundation. The awards ceremony will be on 2nd November. Past winners Rydale Roofing, Appointments Personnel, and Best of British Beer are now on the organising committee and help to sponsor Business Boost. Other sponsoring businesses include Advanced Packaging Ltd, the Business Innovation Centre, Newcastle-under-Lyme College. The competition is open to all small businesses that pay their rates or council tax to Newcastle-under-Lyme Borough Council. The closing date for entries is 18th September. For competition details and application form go online to http://www.businessboostawards.org.uk. An awards evening will be held on 2nd November.